The library research centre initiated by Deccan Muslim Institute well knows as public library for research scholars. 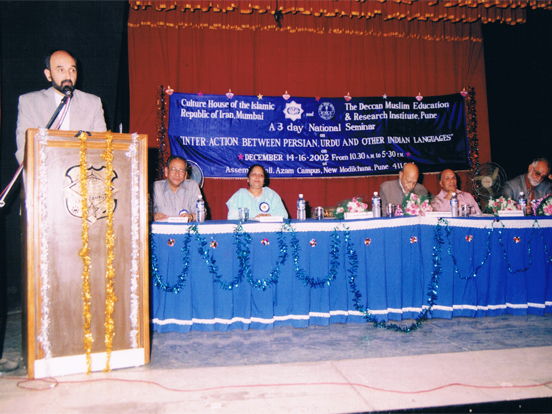 An Urdu Research Centre affiliated by University of Pune was started in …………...Till date ………………….. students have been registered as Research scholars. The research centre is a professional organization which encourages scholarly inquiries related to education and promotes the research initiatives. Research is vital source of information and good quality research can make a meaningful difference in people's lives. The research centre also conducts many programmes/workshops to generate interest among more scholars. The Research Centre also has many upcoming programmes in its platter to generate interests among more scholars.